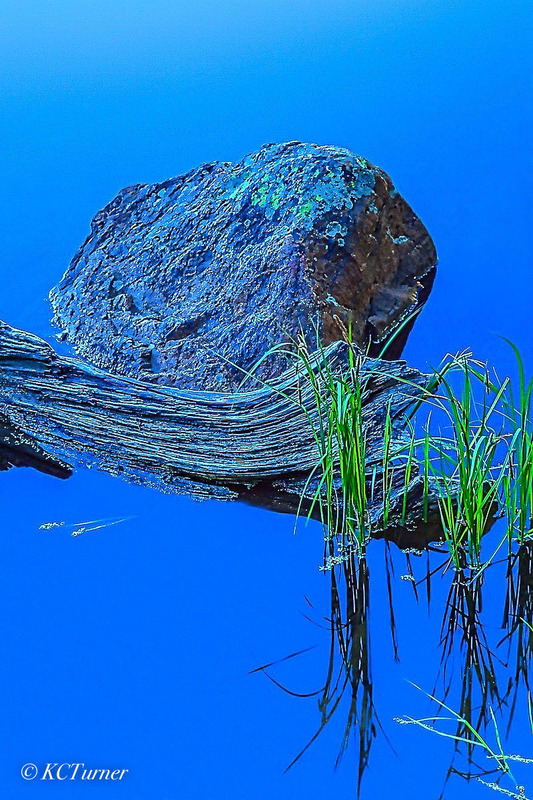 Floating effortlessly in Rocky Mountain National Park's Bear lake, the clear blue sky cast a stunning reflection on the water rendering this rock and tree as if suspended in space. A real gem for landscape photographers. Photo © copyright by K.C. Turner.